Thanks for stopping by, it's an honor to have you here :) The project I'm sharing today is the first of a couple I have created ahead of the Independence Day celebrations on Friday. 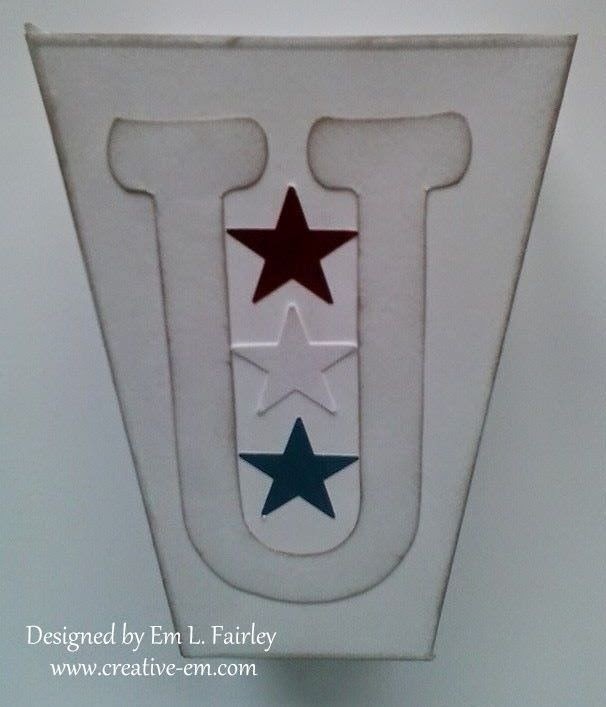 To create the candy cup I've used the Sweet Things embossing board from Crafter's Companion. Having learned my lesson from previous 3 dimensional projects, I decorated this one BEFORE it was put together and yep, it was so much easier! 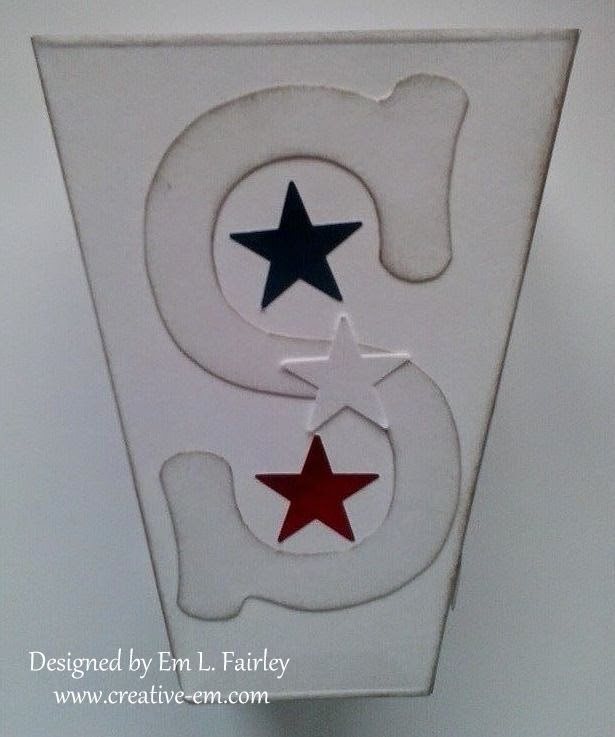 The lettering I've used is the FREE 4inch Cap template from Craftville (formerly Free Craft Downloads). This is my go to set right now and was also used recently in the Teacher Gift. I sponged copper ink onto the edges of the two box pieces and the lettering, which give a subtle distressed look. 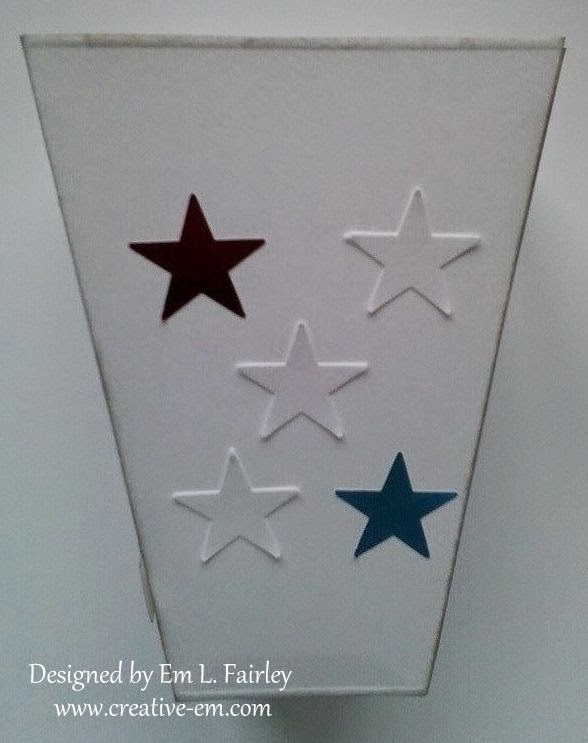 The red and blue stars were punched from metallic sticker sheets that I found at the dollar store, the white from off cuts. 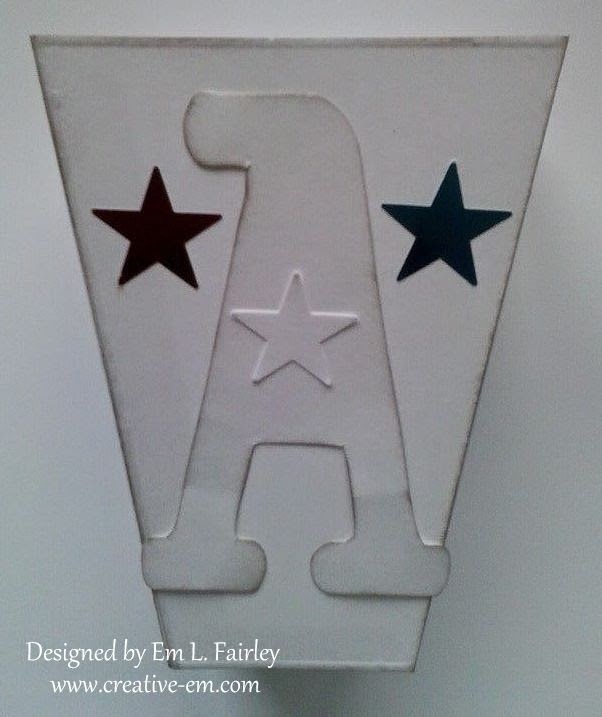 I used a standard wet glue to attach the letters and white stars. I'll be back later in the week with another patriotic project and also a birthday card. Hi Em thank you for follow my blog.